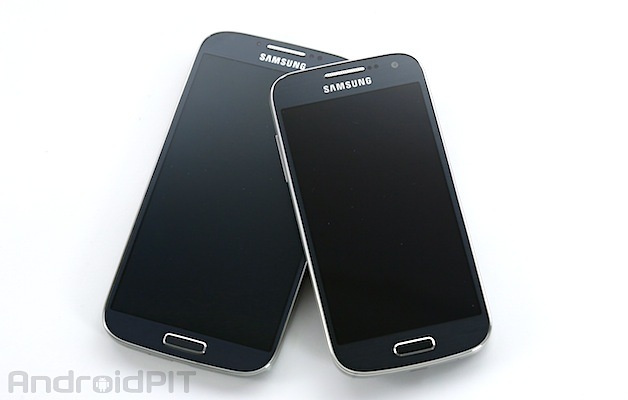 Comparing the Galaxy S2 vs Galaxy S4 mini | OhGizmo! By David Ponce on 08/01/13 • Leave a comment! The following article is brought to you by AndroidPit. -Ed. Samsung recently revealed the Galaxy S4 mini and with its many great features, I have decided to compare Samsungs’ newest addition with one if its best selling devices, the Galaxy S2. As speculated, the Galaxy S4 mini is smaller than the Galaxy S2. Its dimensions are 124.6 x 61.3 x 8.94mm compared to the 125.3 x 66.1 x 8.5mm of the Galaxy S2. The S4 mini is also lighter weighing in at 107g compared to 116g of the Galaxy S2. The Samsung Galaxy S4 Mini uses Qualcomm’s Snapdragon 400 1.7GHz dual-core chip with 1.5GB of RAM, while the Galaxy S2 uses Dual core, 1200 MHz, ARM Cortex-A9. Surprisingly enough, the Galaxy S4 mini offers a 4.3-inch Super AMOLED display with a resolution of 540×960 pixels as the Galaxy S2 has a similar display size, and has the 4.3″ WVGA SUPER AMOLED Plus with 480×800 pixels. The OS of the Galaxy S4 mini is Android OS, v4.2.2 (Jelly Bean), and the Galaxy S2 comes with Android Platform 2.3. Overall, the Samsung Galaxy S4 mini has quite a fair amount of technology underneath its relatively compact form factor, although it will not be recognized as much as the Galaxy S2, however, the S4 mini would still make for a very good mid-range handset. You will be able to find the Galaxy S4 mini in 4G LTE, or 3G HSPA+ or 3G Dual SIM models, depending on the market. Pricing has not been made yet for the Galaxy S4 mini, but when choosing bewteen the 2 devices, this is what it will come down to.